We had a great day at Milton-Union Schools! I want to take a minute and express sincerest appreciation for our bus drivers, secretaries, supervisors, and teachers for their work this afternoon. 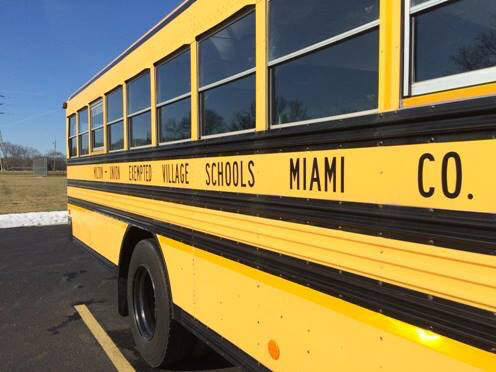 The first day usually involves a lot of last minute route adjustments as the timing of bus arrivals and departures become more and more efficient and accurate with each school day. I watched as our drivers this afternoon were patient with (at times) tearful and worried youngsters not used to bus rides home...some of whom are not yet used to time away from family members and relatives. I watched as our drivers worked together when children were not sure about their bus assignments or where to go. What was truly unique was the care, kindness, and compassion they took to make sure everything was handled with respect and love. Great job, everyone...people will notice and appreciate the way you go about your work!